A woman was reading her book wearing a sleeveless jacket, her burgundy shirt matched her lilac scarf quite nicely. 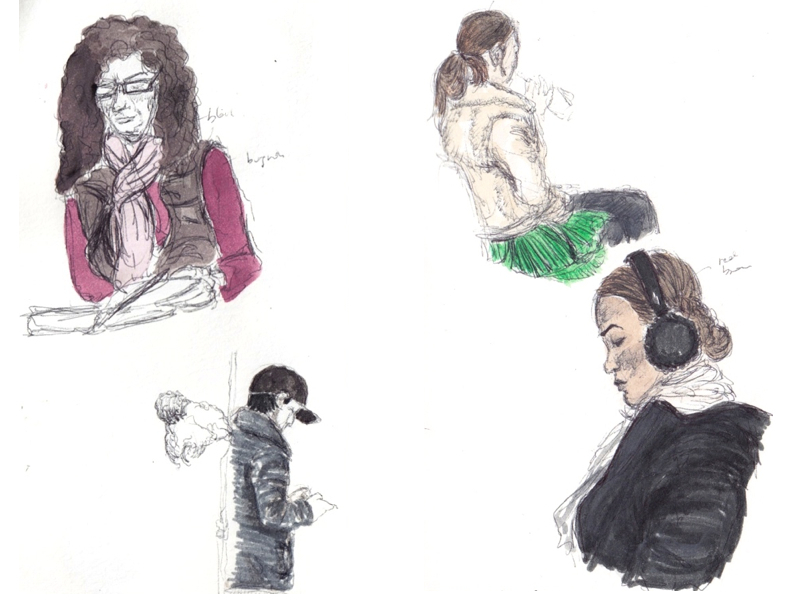 The young women wearing a faux fur jacket and green skirt (or dress) also had black pants underneath, probably not to be cold while traveling from one place to another. She was chatting with her friends while sipping on a drink. The women on the bottom right was reading something. I though she had large earphones at first but then realized they were earmuffs.